CrowdStreet, the commercial real estate marketplace has recently announced the launch of a new product that is designed to help developers with their fundraising efforts. The new product, CrowdStreet Sponsor Direct, will serve as a private-label product platform specifically for real estate developers and operators who wish to provide crowdfunded real estate investor management capabilities and fundraising via their own branded website. Since its launch, CrowdStreet has participated in more than $40 million in capital formation. CrowdStreet, which was built to connect accredited investors with higher quality real estate investments, came about following the release of the JOBS Act by Congress, which gave real estate sponsors the ability to market investment opportunities publicly while raising capital for development projects. Since then, real estate developers and sponsors have continued to experiment with a variety of different crowdfunding options. As fundraising efforts increasingly evolve, more and more sponsors have begun to look for opportunities that would allow them to engage investors directly on their own websites. By offering a private-label version of their platform, CrowdStreet is now making that possible. With CrowdStreet Sponsor Direct, enterprise-level real estate sponsors will be able to provide a completely branded experience via their own website. As a result, their investors will be able to not only view information regarding offers, but will also be able to complete transactions, and even benefit from the receipt of post-funding updates. Additionally, investors will able to use the branded website to track the performance of their investments. The new portal will make use of the same technology infrastructure used by CrowdStreet Marketplace. Among the capabilities offered by CrowdStreet Sponsor Direct, is the option to market investment offerings to a private network or to the public directly. Given the importance of such matters in today's economy, the new platform will also provide the ability to provide such offerings in an efficient and transparent manner, which can help to boost a sponsor's reputation. Investor engagement, from the point of initial interest all the way through a fully engaged offer can also be tracked using the new platform. Sponsors will also be able to manage continuing investor relations using a variety of tools that make it possible to enjoy such benefits as document archival and completely scalable communications. 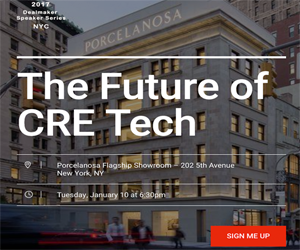 As technology as continued to advance at such a rapid pace, the commercial real estate industry has been able to take advantage of an increasing number of tools that have resulted in greater efficiency and performance. The new platform from CrowdStreet is just one such example of the way that technology has made it possible for CRE professionals and investors to communicate more efficiently, while at the same time benefitting from greater transparency. An increase in more centralized information access has also resulted in the ability to vet and close transactions in far less time than ever possible in the past.